After sweeping all of the CSL North Quad Meets this season, the HP varsity team was prepared to win their fourth straight CSL North Invite. Early in the Varsity race Jose Reyes and Jason Polydoris got out into great position. Erik Anderson led the next pack of Giants through the mile, but they were too far back. Reyes moved well through the race and came across the line in second place overall in a personal best 15:11.5. He finished first for the CSL North to win his second straight individual conference championship. Polydoris made a big move mid-race. He held on to finish in 4th place for the CSL North running his best time of 15:25.6. 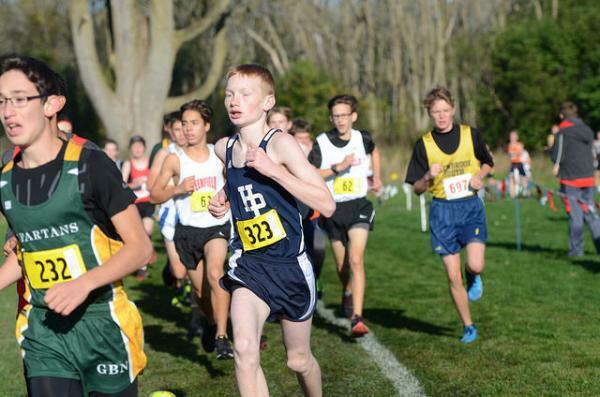 Despite the disappointing start, Alex Brown was able to move up a little through the race to secure All-Conference taking 13th place in the CSL North with a 16:24.7. Anderson held on to finish in 20th with a 16:43.0. 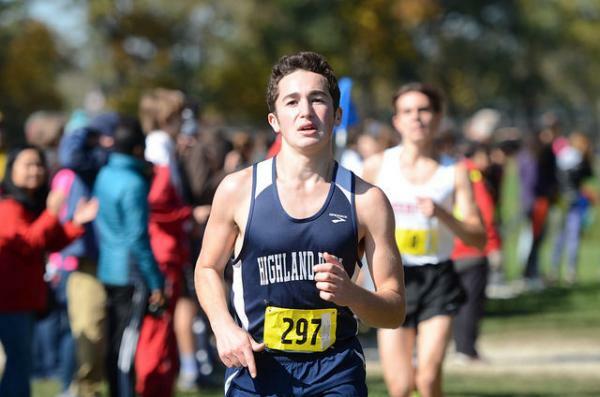 Jordy Mazza battled through foot pain to take 26th in 17:02.6. Max Friedman competed well in the varsity race to take 33rd in 17:56.0. Corey Fairchild had not run for a few weeks due to a foot injury, but was determined to race in the Conference Meet for his teammates. He put his heart into the race, but due to his lack of recent running, he didn’t have the performance he had hoped for as he pushed across the line in 34th place. The Deerfield team ran an impressive team race and won the Invite for the CSL North. Due to the Quad Meet wins, HP was still named the overall CSL North Champions for the 4th year in a row. In the Sophomore race, HP finished 5th in the North Division. This sends a message to this class that they need to do much more over the next 365 days to be competitive once again in the conference. Despite improving their times, other teams that put in big summers of training improved more. The sophomores were led by Tyler Carlson’s 12th place finish in 17:45.9. Evan Diethrich was the next finisher for the team as he took 16th in the division with an 18:02.9. Jack Levine had a good race as he ran 18:44.7. He was followed by Ari Kaden in 18:50.9. Albert Klayman ran 19:42.2 after returning from recent ankle pain. The Giants were led by Jack Schulman in the JV race. He finished in 9th place in the division with a time of 17:46.3. Next in was Ryan Rosenfeld with a strong race finishing in 20th place with an 18:29.3. John-Henry Ohlwein finished in 25th running an 18:43.6. He was followed by Ben Gordon who battled tough after losing his shoe during the race. He finished in 18:48.1. Sam Lothan finished in 18:54.9 followed by Andrew Biondi in 19:45.3. Jack Casey was the next finisher in 20:32.4. Jack Gonzalez ran 23:37.2 in his final conference meet. 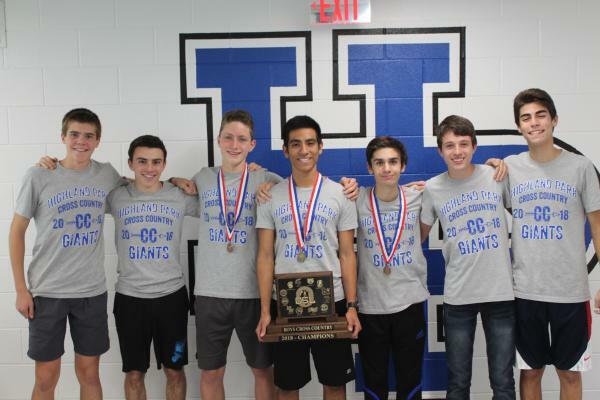 In the freshmen race, Hunter Kells led the way for the Giants. His hard work continues to produce quality results as he ran a personal best 12:07.5 to take 11th in the CSL North. Alejandro Seiden was next in with a 13:06.5 for 20th place. Ethan Sharobeem came in 30th running 13:35.4. Ted Zinoz finished in 13:49.8 to take 35th. 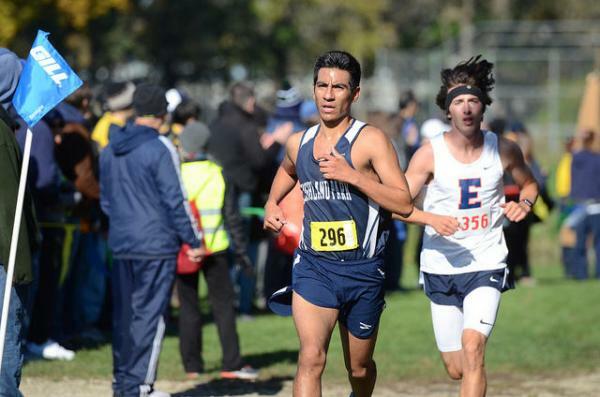 Avery Garcia ran 14:14.8 while Nick Aguirre finished the race in 15:15.0. Ethan Nicolaz-Davidson dropped a tremendous amount off his time from the Quad Meet run on this course earlier in the year as he finished in 18:12.0. The freshmen all improved a great deal this season. It will be exciting to see what they can do as sophomores with a full year of training! Despite not having the team results everyone wanted, the Giants showed improvement overall. 19 of the 21 runners that raced in the Quad Meet on this same course earlier this season improved their times. The returning runners must make a decision about how great they want to be and what they are willing to do to reach that level of greatness. The talent is there, but work over time has to be put in to achieve success.